Dude, you are in luck! A friend recently sent me a totally cool CD from the U.K. called Ampaholics, The Vintage Collection—Volume One. Compiled by a British amp enthusiast over a two-year period, Ampaholics is a virtual “tone dictionary” of what 17 pre-1970 British amps sound like. Each amp is recorded “flat”—with no eq—to give you the purest and most accurate representation of what these amps made famous by Clapton, the Beatles, Jimi Hendrix, the Who and others sound like. 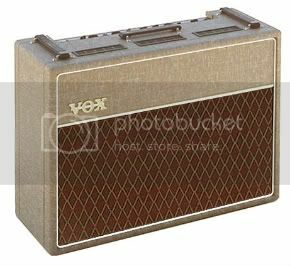 The CD comes with a handsomely designed 20-page booklet filled with historical and tonal information written by David Petersen, an authority on Vintage British amplification, and accompanied by high-quality photographs of such classics as the 1965 VOX AC30 top boost, 1968 Marshall JMP50 “plexi,” 1966 Marshall Blues Breaker combo and 1961 Watkins Dominator, to name a few. As you listen to the CD, a “guide” announces each amp and tells how it’s being used (i.e, “1960 Vox AC15 1×12, at full volume,” “…with guitar in the middle pickup position,” etc.). 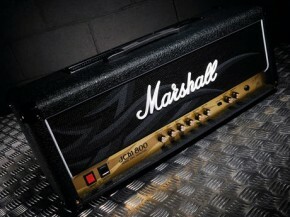 In addition, each amp is represented by three or four examples that use different volume and tone settings. 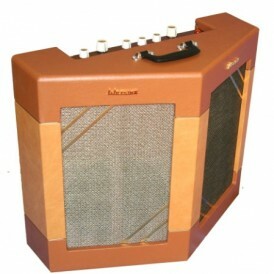 Ampaholics is unique in that it’s a valuable reference tool for beginning and pro guitarists, producers, vintage amp collectors, music retailers and general enthusiasts of music memorabilia (i.e., Beatles freaks). And when you consider that the opportunity to hear and familiarize yourself with this many classic tones is a privilege and luxury typically enjoyed only by successful recording artists and producers, the advantages of having this CD makes a lot of sense when you’re an ampaholic!